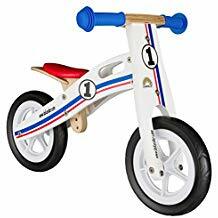 The John Crane Tidlo Balance Bike is currently unavailable. 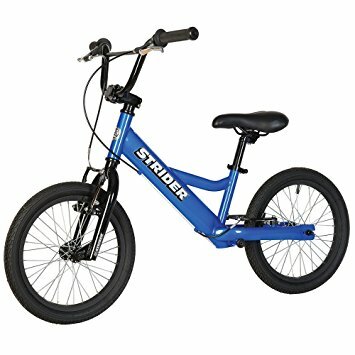 Check out these reviews of alternative balance bikes and relevant age groups for our recommendations. 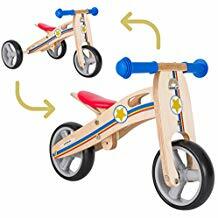 John Crane is a British company that specialises in wooden toys of all shapes and sizes. 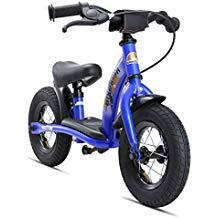 They offer a small range of quality balance bikes through their own label brand, Tidlo, and all bikes are suitable for children of 3 years and above. 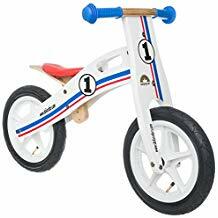 All John Crane balance bikes are made from replenishable rubberwood, so they are environmentally friendly as the trees have reached the end of their natural life. 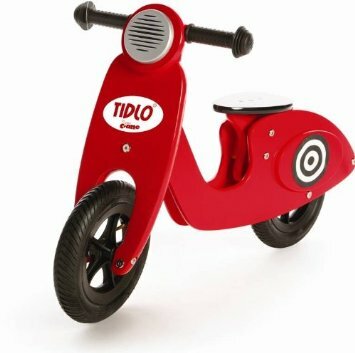 Tidlo bikes are brightly painted in red, pink or blue and features include a padded seat, easy grip handlebars, pneumatic tyres and a bell so that they can let you know they are coming! 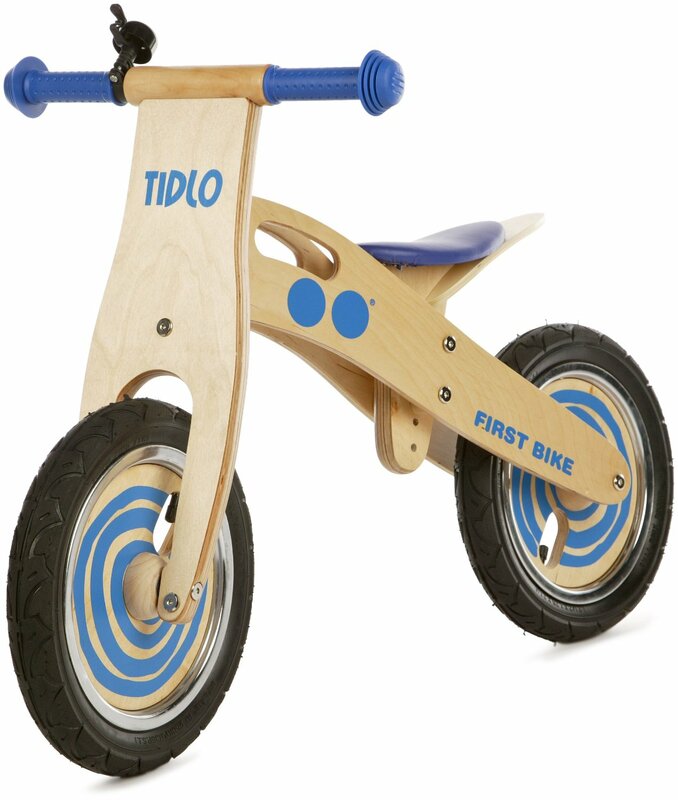 As with most wooden balance bikes, there is not a huge range of seat positions available but the seat height of the Tidlo First Wooden Balance bike can be adjusted to 3 different heights from the lowest height of 34cm up to 38cm. 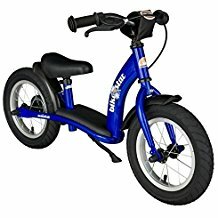 This would probably make the bike slightly too big for an average 2 year old, so we would recommend this bike to children aged 3 and above. 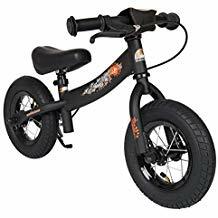 The Tidlo First Balance Bike weighs in at 4.7kg, and is available for around £40, so this makes the bike an excellent choice if you are looking for a great value balance bike and you would prefer a wooden bike. 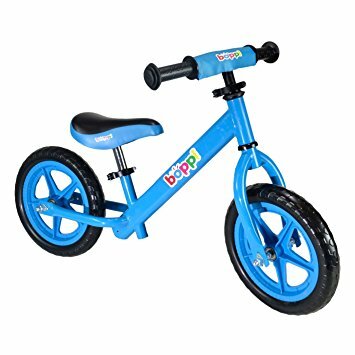 Other wooden balance bikes worth considering in this price range would be the Jiggy Wooden Balance Bike priced at £47, the Boppi Wooden Balance bike from £32 or the Prince Lionheart Balance Bike which is slightly more expensive at around £50. 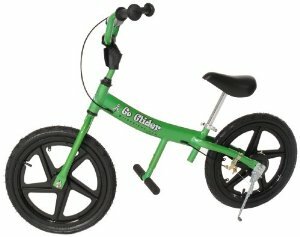 An alternative to the traditional balance bike is the funky Tidlo Scooter Balance Bike, that is available in bright red or lemon colours. 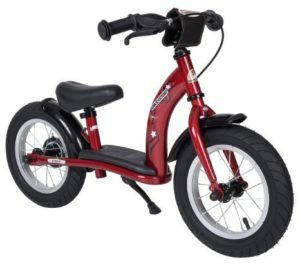 Shaped in the style of a retro Italian scooter, this bike is suitable for children aged 3 years and above with the regular features of an adjustable seat, pneumatic tyres and easy grip handlebar. 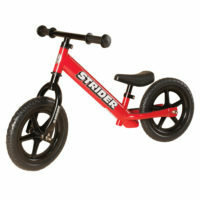 The scooter is a stylish way to scoot around the playground or local park, and available from £45 - £65. 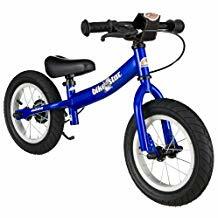 John Crane balance bikes are definitely worth considering when you are looking for the best balance bike. 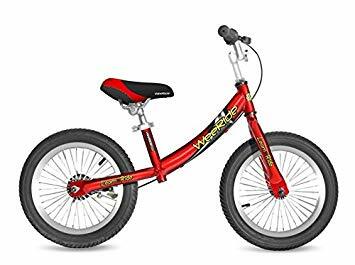 The paintwork may chip off as the bikes can take a bit of a battering from smaller children, but these are quality bikes with an excellent range of features and a funky design.